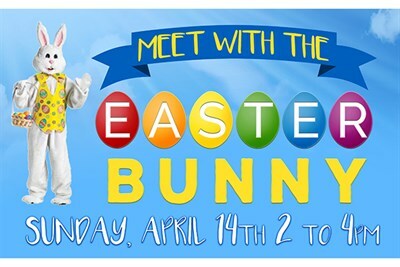 Join us the Sunday before Easter for our 6th Annual Meet and Greet with the Easter Bunny. Admission and crafts are free. Bring your camera or phone to snap a photo with the Easter Bunny and enjoy Easter crafts while you eat lunch.